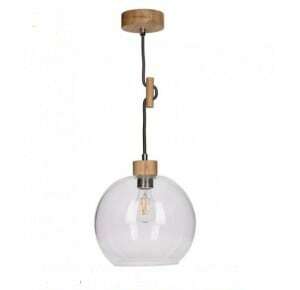 Thank you for submitting your question about Hanging lamp Ballare black Transparent lampshade LED 7W. 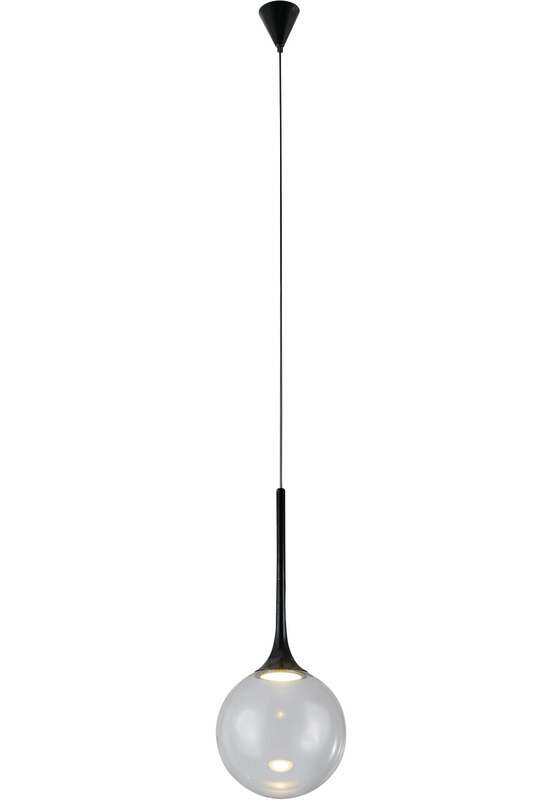 Ceiling pendant lamp in black / transparent, which will perfectly decorate any home room. This light fitting is a illumination made of glass and metal. 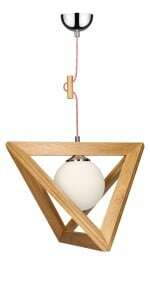 These materials are very resistant - thanks to this the lamp will perform its functions for a very long time. 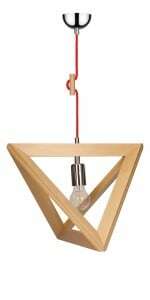 The luminaire for the kitchen , bedroom, hallway, office, dining room or living room. 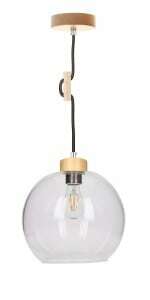 The product was created from very good quality materials: glass and metal. The described illumination is equipped with an integrated 1 LED light source with a power of 7 W. Lamp height: 1200-1500 mm.